This multi threaded tap connector has a three quarter inch thread and reducer with a half inch thread. This product simply attaches straight to a three quarter inch threaded tap or a half inch threaded tap and comes complete with insert washer. 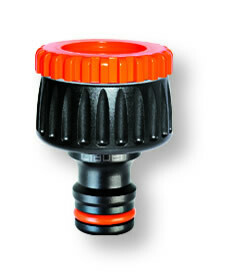 Compatible with 'Quick-click' and all other Hoselock fittings.